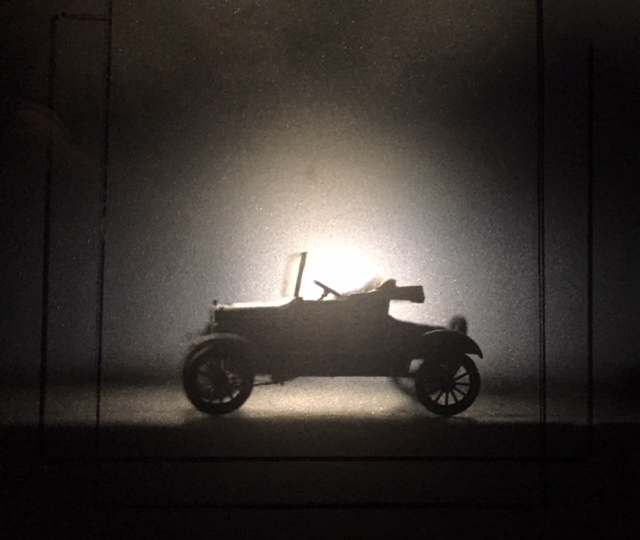 Setting up my large format camera to shoot glass negatives of model T gear details. 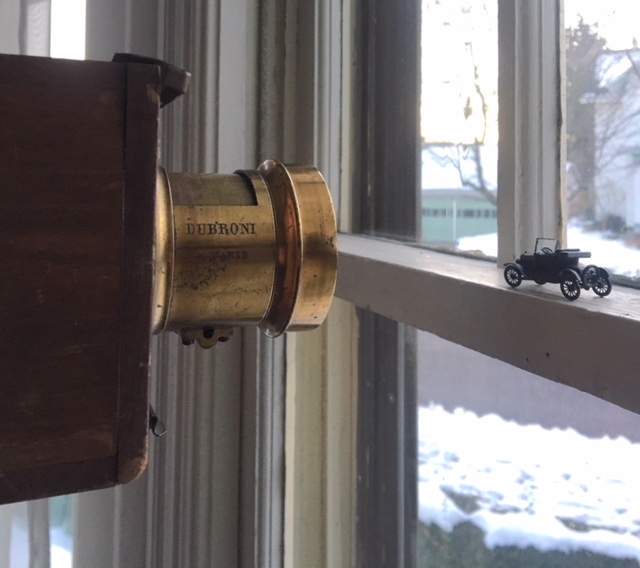 Tested the focal length of the 1870s lens with a smaller car on the window sill. Wow! At first glance the photo you took looks like a T photographed at a distance. The small model looks to be very accurate in detail. Yes, I assembled that kit wearing an eye loupe to see what I was doing. An amazing little model. Mark, you have some great ways to amuse yourself and us too. Yes, my work is fun. But actually, that was a test of the extended lens board for close up imaging. I am currently shooting a body of work for an upcoming show and book. The work is titled Anatomy and is photographs on glass negatives related to my 1923 runabout including exterior and internal parts as well as my work space. Many of these are conceptual and very close up. The exhibit opens at the Open University Gallery in Ra'anana [near Tel Aviv] Israel this coming April.